Loara High School, located in Anaheim, California, serves more than 2,100 students, with 80% identified as being socioeconomically disadvantaged and 25% in programming for English Learners. The demographic profile reflects that 77% of the students are Hispanic/Latino; 9% Asian; 7% White; 3% Filipino; 2% African American; 1% multiracial; >1% Native Hawaiian or Pacific Islander; and >1% American Indian or Alaska Native. Loara High School, as part of an initiative with leaders from Anaheim Union High School District, recognized the need to provide families with tools to better support the high expectations they have set for their students. This need included giving families the opportunity to better understand the California educational standards that students are expected to meet for high school graduation. In addition, Loara and the district wanted families to better understand the district’s own goal, to graduate students who are socially aware, civic-minded, and college and career ready in the 21st century. Parent Learning Walks became the solution that meets this need. Loara, along with the other schools in the district, provides sessions throughout the school year where families can come to campus to visit classrooms. 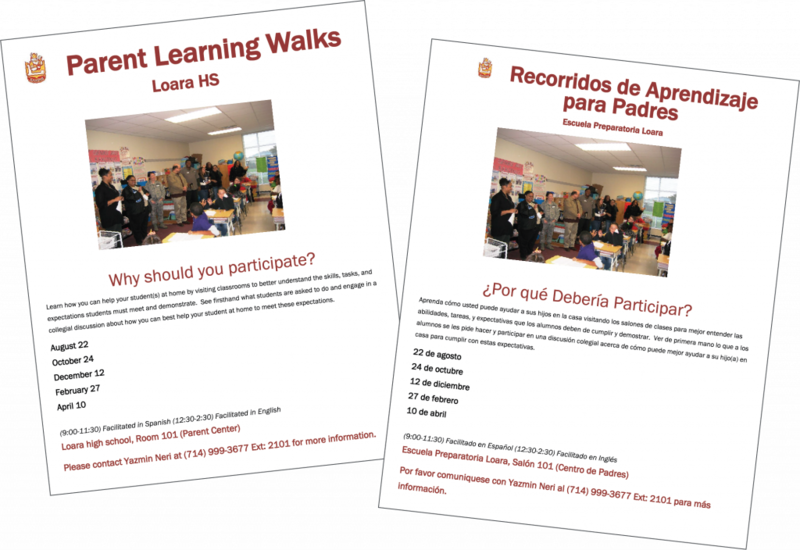 Coordinated by Loara’s community liaison, the learning walks are facilitated in both English and Spanish five times a year. During these visits, families have the opportunity to learn how they can help their student(s) at home to better understand the skills, tasks, and expectations they must meet and demonstrate. They can see firsthand what students are asked to do, and they can engage in discussions with staff and each other about how they can best help students at home to meet these expectations. Family groups visit classrooms using the Parent Learning Walks Discussion Guide. The staff facilitator debriefs with the group away from the classroom. The group participates in a reflective conversation after the debrief. How are communication, collaboration, critical thinking, and creativity being included in classroom activities and assignments? 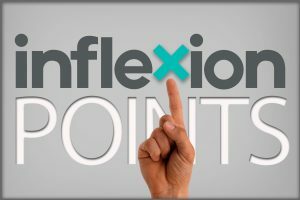 How is my children’s home language being used to help them understand their lessons and instruction? How are language and literacy skills developed through classroom activities and assignments to help my child learn English and the standards? What extra help does the school offer to keep my child’s progress at grade level?